For years, my mum has been obsessed with the idea of going to Beamish and when she went during the Summer, she loved it. She was excited for my return to the UK as she couldn’t wait to take me to their Christmas event. 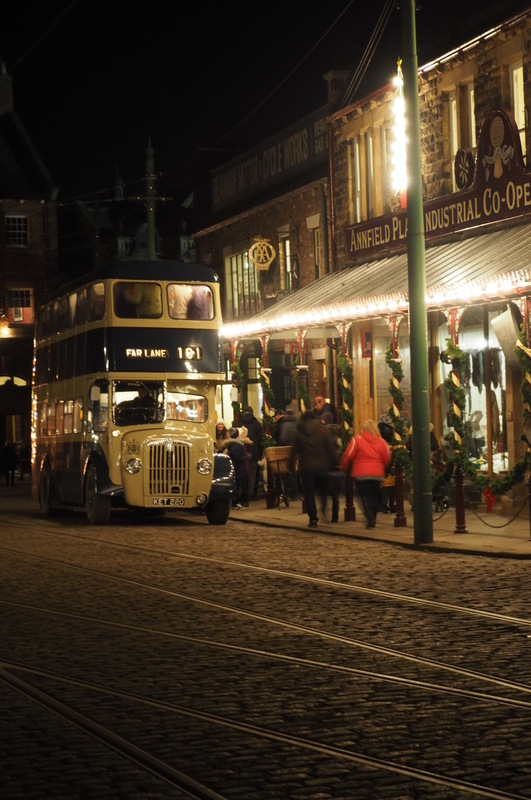 Beamish is an open-air museum near Durham set up as a replica town of the past. 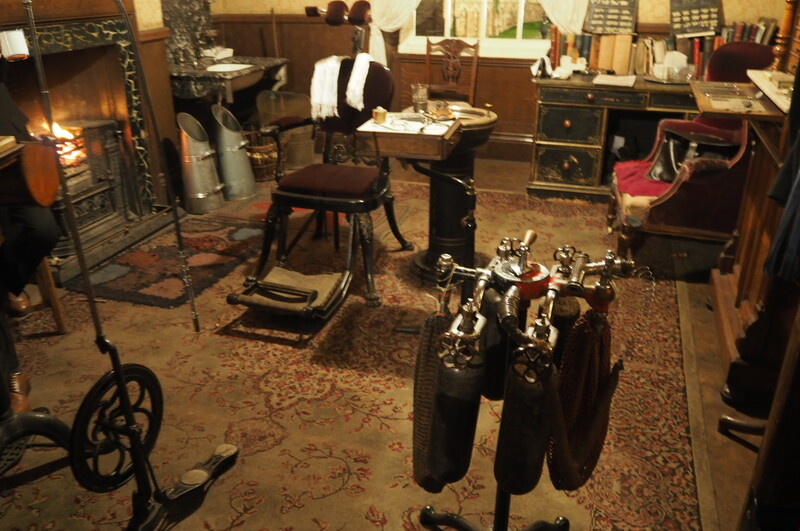 The museum shows what life was like in North East England during the 1820’s, 1900’s and 1940’s by providing visitors with experiences and buildings from the time period. Close to where we live at home, we have Preston Hall which has a cool, fake Victorian village but is pretty small. 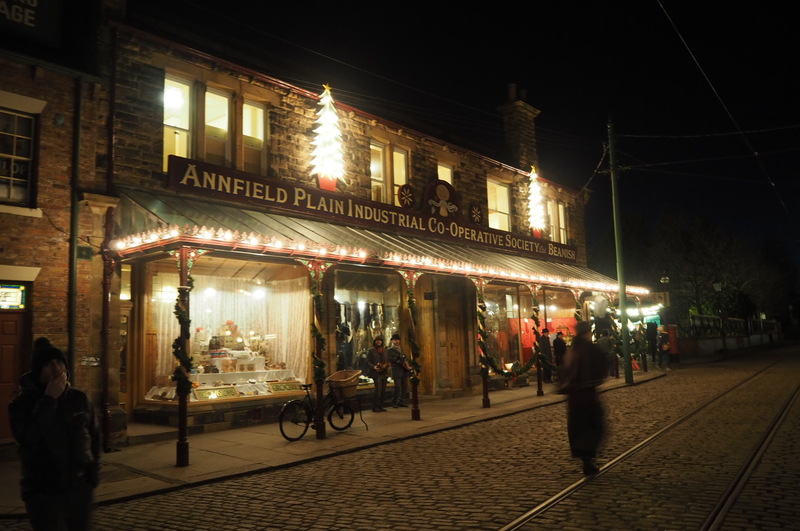 I was expecting similar so I was not prepared for the scale of Beamish. The land Beamish covers is huge and like an actual town. So much so that they have old-fashioned trams and vintage buses to take you section to section. When we arrived we were greeted with delicious snowflake biscuits and tasty, warm fruit punch. I could have devoured an entire tray of those biscuits. We took the tram to 1900’s town which was a fun experience and got off at a charming festive street. The street was beautifully decorated and carol singers greeted you off the tram. After popping into the tearooms for a hot drink and a bite to eat to warm us up, we explored some of the houses along the street. We wandered around the house of a dentist and another of a music teacher, both of which gave you a great insight into that time period. Both houses had actors in them who provided you with either knowledgable information or a comedy element. We wandered around the rest of the town, passing on the sweet shop because the queue was too long and buying some goodies from the bakers. In the Masonic Hall, there was a reading of an extract from A Christmas Carol and Punch & Judy was performed at the stables. Ash had no idea what Punch & Judy was so that was an interesting experience for him! Our next stop on the tram took us to 1820’s Pockerly. 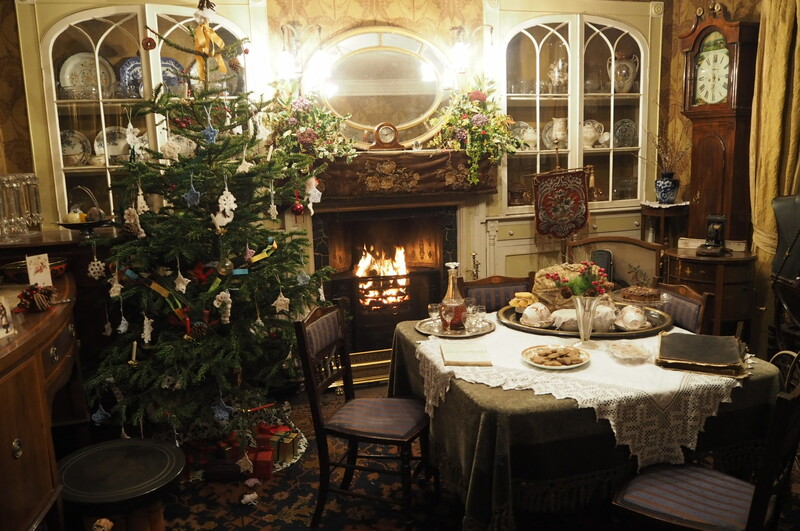 We visited an old house where we had another delicious fruit punch, ginger cake and violinists played Christmas tunes. 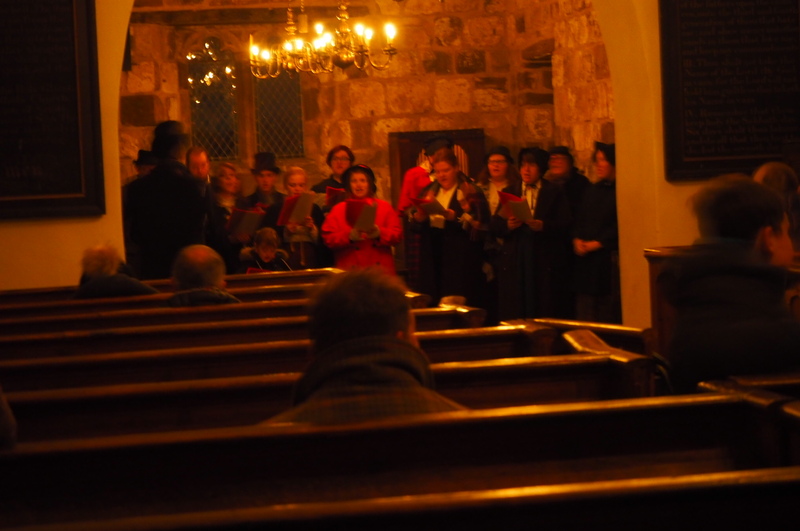 Further down the road was Santa’s grotto and the reindeer, whilst in the opposite direction was carol singing in the church. There wasn’t quite as much to do in Pockerly so back on the tram we hopped to 1900’s pit village. Here we watched Morris dancing in the church hall, carol singing in the church and sword dancing in the school. This is where I was surprised to find out that Ash did sword dancing when he was younger. We headed to the fish and chip shop but with another long queue, we decided to call it a day as it was bloody freezing. A lot of traditional museums kinda bore me in all honesty but Beamish is really cool as it adds fun and experiences to the history. 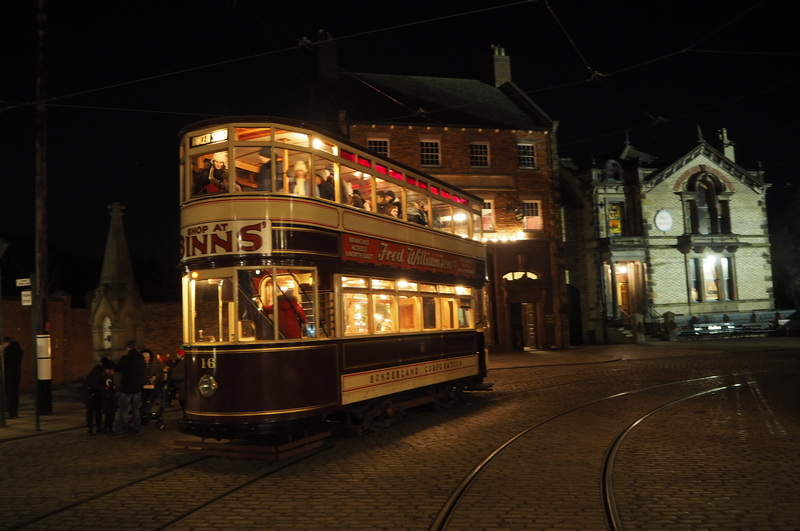 We didn’t get to experience all of Beamish as some of the attractions were closed for the evening event but it gave me a great impression of the town. The evening was freezing so very glad we wrapped up warm and I would definitely recommend taking a torch as some sections are a little dark. It was a lovely Christmassy evening and a very different way of getting into the Christmas spirit. I’ve never heard of it before, sounds cool! !